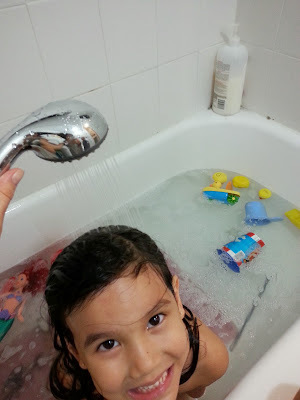 My cousin received the Rejuvenator Microbubble Showerhead for review and here are her thoughts. My family and I received the Rejuvenator MBS-2011V2 Micro Bubble Hand Held Shower head. I was a little worried about how I was going to get my husband to install the new shower head because he is notorious for taking forever to get around to household projects. I was anxious to try out our new shower head and I was able to convince him to attempt the installation. Luckily, the installation was super easy and simple.My husband was able to complete it without using any tools in a matter of minutes. I was eager to give it a try, but of course I had to wait for the kiddos to go to sleep before getting my shower. My husband normally doesn't like to shower together because he says I monopolize the water. 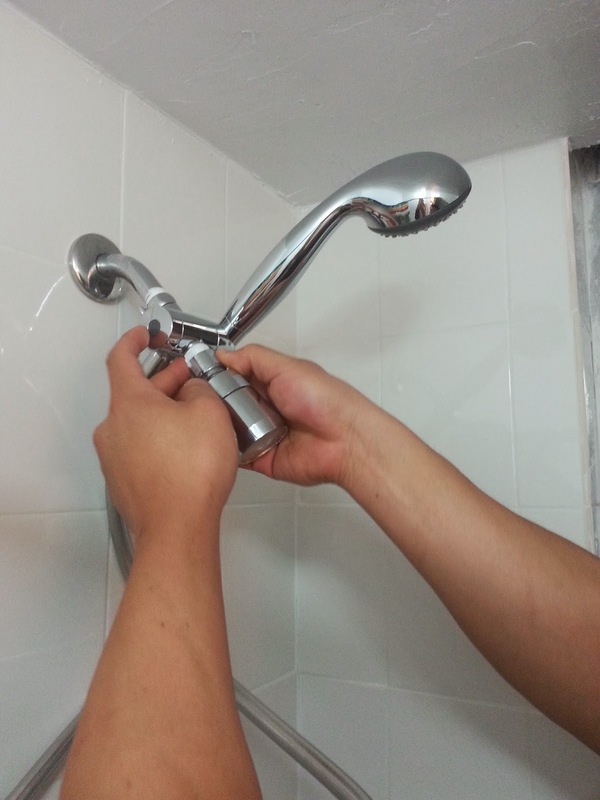 But with our new Rejuvenator it was like we suddenly had a double shower head. 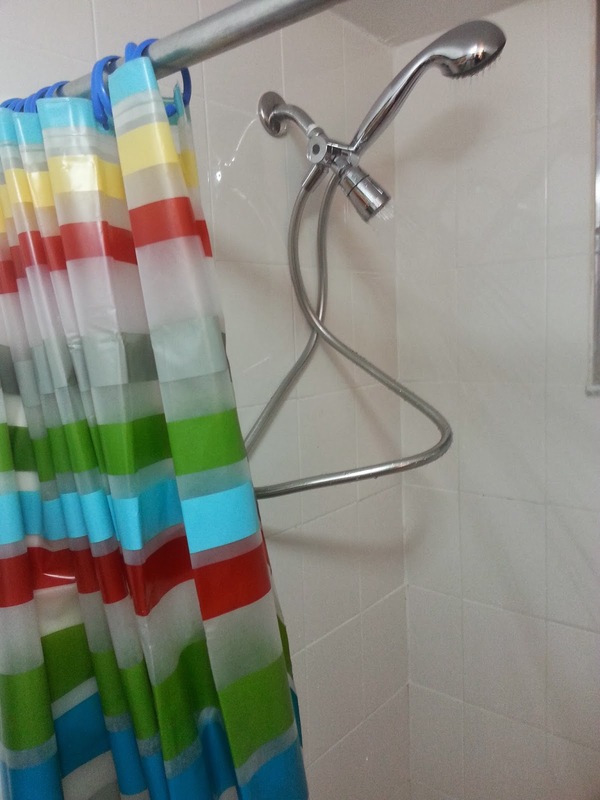 He replaced the existing shower head, and the Rejuvenator is removable with a snake like hose. The shower head has a switch on it where users can choose whether they want water to come out of either one or both or the shower heads. 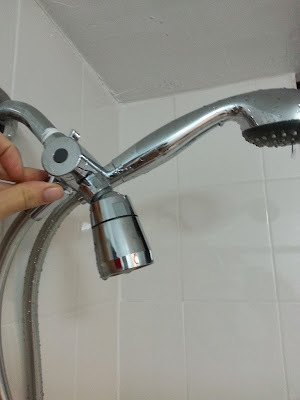 I was able to easily flip the switch to create my own stationary shower while still utilizing the second Micro Bubble shower head simultaneously, although it does seem that the water pressure is slightly compromised when using both. The Rejuvenator MBS-2011V2 Micro Bubble Hand Held Showerhead has a patented technology that allows it to deep clean your pores, for those of us who don’t have a lot of time for a day at the spa The microbubbles are designed to naturally exfoliate and hydrate the skin and hair for a healthier look and feel. The water from the Rejuvenator showerhead feels so much softer on my skin than the water from our old showerhead. I love that the showerhead is removable because it makes bathtime with the kids so much easier for me. My daughter is five years old and she doesn’t like to take showers. Now that she’s getting older and her hair is thicker, it’s getting more difficult for me to wash her hair in the bathtub using a cup to pour water over her head. So I was excited to use the Rejuvenator; it made it so much easier for me to rinse out her shampoo. She used to always give me a hard time about pouring cups of water on her head, complaining that the water would get in her eyes/ ears. I love that I am able to relax in the shower after a long day with the kids; it’s like a mini vacation for me to feel refreshed again. The Rejuvenator showerhead was awarded was awarded the Gold Medal in the domestic bath accessories category at the 28th annual Invention and New Product Exposition Trade Show in Pittsburgh. Buy It: You can purchase the Rejuvenator MBS-2011V2 Micro Bubble Hand Held Showerhead, Stainless Steel for $89.99 with free shipping! Make sure to connect with Rejuvenator on Facebook and Twitter! We have a hand held shower head too and it's the best thing I ever put in the bathroom. Makes clean up for so many things so much easier. We have one like this but this one is a lot nicer. I love it and so does my son. It does make cleaning the tub a lot easier. OMG this is awesome love that it helps with your pores and that its double head and long enough to bathe the lil ones! For all it does it is a great price! I need these in my home!